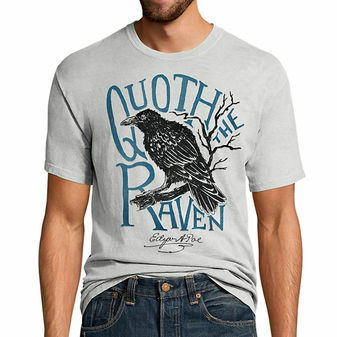 Nevermore should you be without this fun graphic tee. Made with premium ring-spun cotton for exceptional softness. Contemporary styling with slimmer fit. Hemmed sleeves and bottom. Shoulder-to-shoulder tape for durability.